According to Vernon Mahabal, our world has moved into a much more Positive 18 year cycle, where most people’s idea of prosperity will be a lot different than it was from the 40′s to the 80′s. There may be some rough times ahead as the bad guys try to bring it all down, and the poisonous old ways die hard, but we will emerge stronger.There will be a kind of Hopi [a very spiritual tribe of Native Americans in the Southwestern desert] philosopy, “Create your own occupation and you will find your Freedom”, that more and more people will adopt and will lead to empowerment. —I just copied and pasted the above article here, from one of the other blogs I’m mixed up with, changed a couple words and added a little bit, like the explanation of who the Hopi are and where they live. & Like I said this morning, I was impressed with this person. 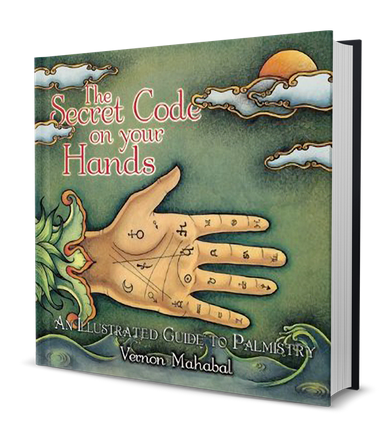 He is extraordinarily spiritual and reading palms is only one of the ways he expresses his gifts. What if your first and third fingers are the same length? This might indicate that you are a balanced person. You might find success in both artistic expression and leadership. You might be the leader of a successful band, or the guiding force behind an art gallery that keeps local artists (including yourself) from starving to death. —But what I am calling this guy’s ‘gifts’ are his intuition and his ability to sense where the people whose hands he has to touch to his palmistry work are heading in life and what obstacles they face and after doing so many readings (and teaching others to do those readings) he has practiced and developed his intuition to the point where he can see trends. ———Have I blabbed enough for now?